STAGE simulates aspects of Diagnostic, PHM and ISHM Engineering, showing the support capabilities of a System during its useful lifetime. 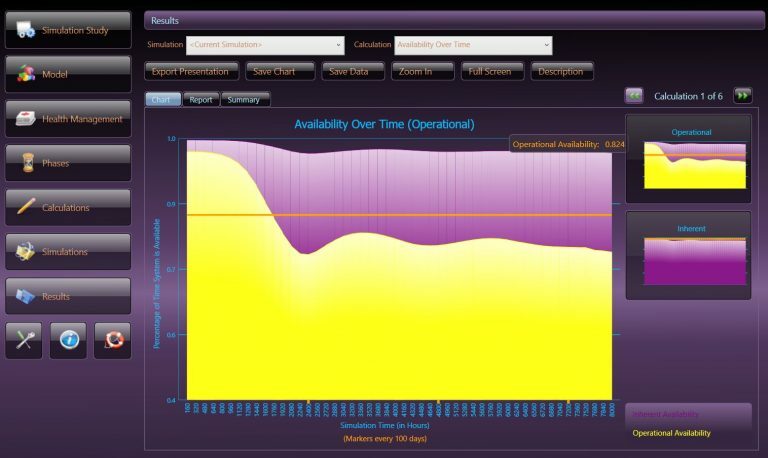 Many types of analysis can be performed on STAGE, including Testability, System Reliability & Mission Success, Sustainability, and Logistics Resource Allocations. 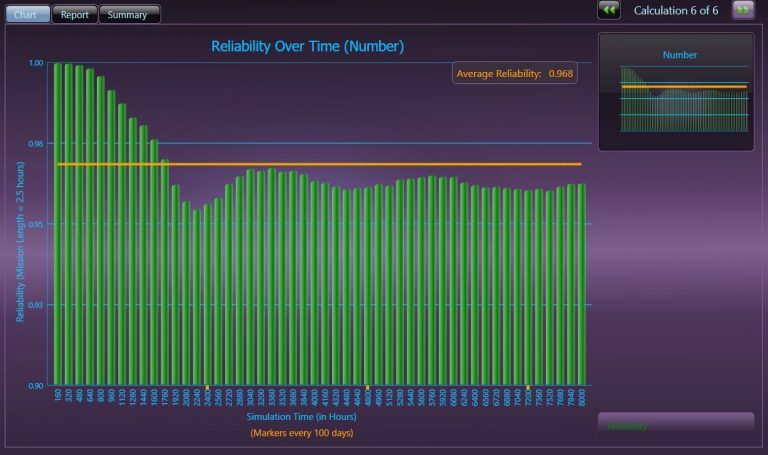 Traditional methods used to assess the effectiveness of operational support simulations have not been able to exploit the impact of considering the diagnostic integrity of the operational or deployed asset. This traditional approach would then render any traditional support simulation to “plugin” standard diagnostic assumptions about the asset that, in reality, have tremendous variances. Unless the diagnostic integrity of the design is determined, these variances lead to unknown costs in terms of Safety, Availability, Operational Success and Ownership. 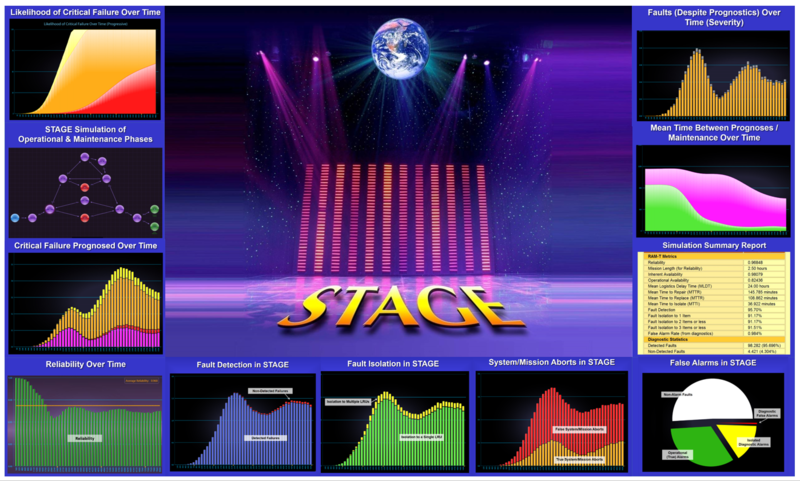 STAGE is unique in the manner that its technology will enable the derivation of “infinite” metric-based assessments about the operational effectiveness of an equipment or system while considering the diagnostic capability of the design, the required maintenance philosophy and the impact of maintaining the design with these constraints. 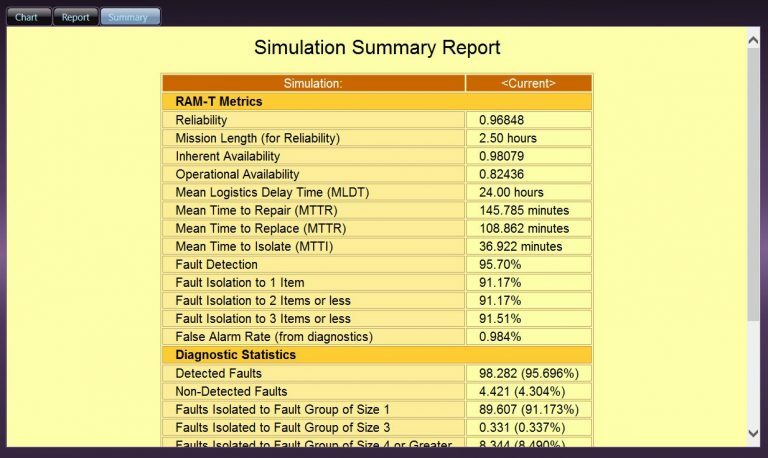 Because the STAGE simulation is performed on the eXpress model, it is cognizant of all of the Fault Group constituencies as determined by the diagnostic acumen of the operational asset. This is unique to the STAGE simulation as it now is able to consider the Level of Replacement and the interrelationships of the Functional and Failure propagations throughout the subsystems and all levels of the design architecture – as ultimately determined and constrained by the diagnostic integrity of the integrated designs. STAGE is unique that its technology applies the knowledge of “FUI” (Failure(s) Uniquely Isolated). This is a void in traditional attempts to perform operational support simulations since the technology would require the traceability to the interrelationships of the Failure Modes from the lower levels of the design architecture – or “Root Cause”. This enables STAGE to produce strikingly new outputs that can only be produced if the diagnostic acumen of the integrated designs is fully described and readied for such insightful Data Analytics. 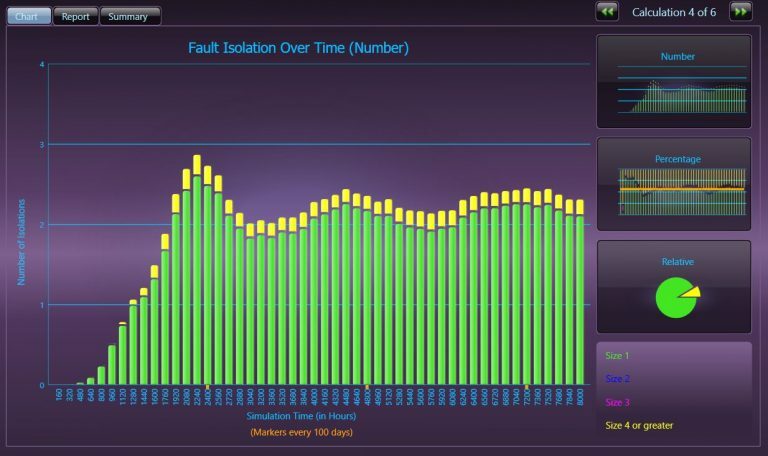 Key to performing an Operational Support simulation is the consideration of the impact of the repairs upon “How a System Fails”. STAGE is unique in this regard because of its diagnostic acumen, which enables it to include isolations to Fault Groups containing more than one replaceable item, and/or replacements of items with multiple Failure Modes that are not uniquely isolated. As such, STAGE considers maintenance corrective actions that result in replacing failed components together with non-failed components and/or non-uniquely isolatable failures. 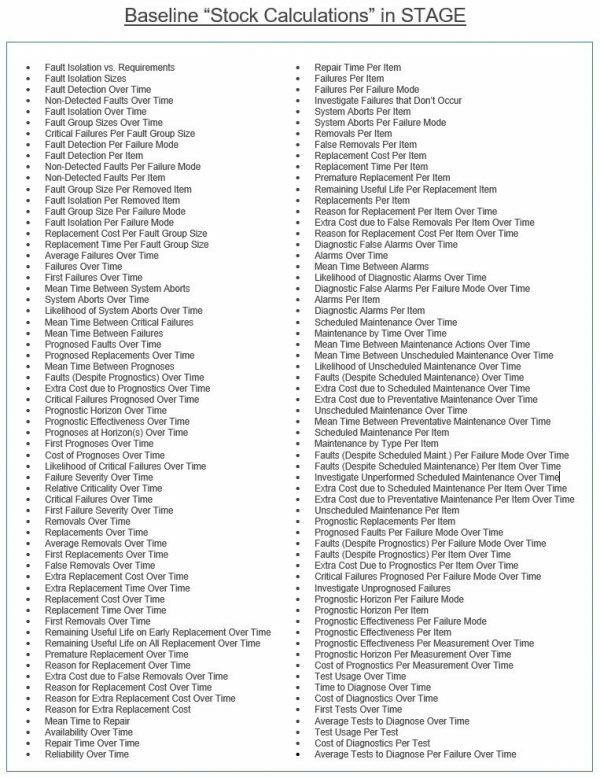 Thereby, “Premature Replacement” corrective actions will “postpone” the realization of some failures and may surprisingly occur in any maintenance paradigm (CBM, RCM or Run-To-Failure). Leverages, maps and interconnects investments into diagnostics, PHM, ISHM and systems engineering. 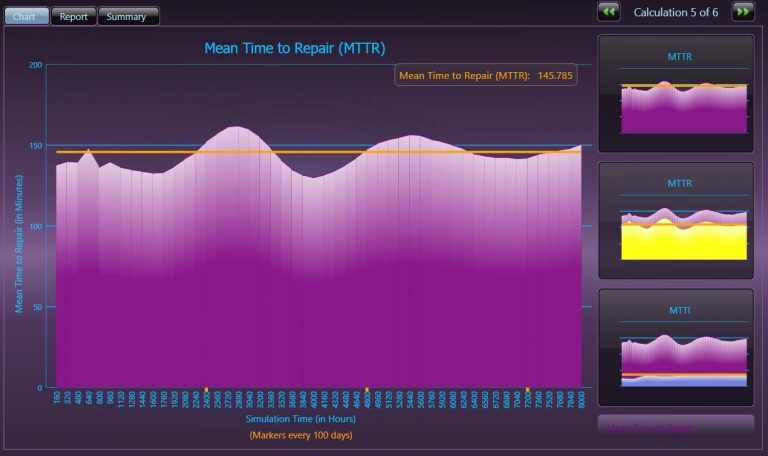 Provides a method to validate diagnostic and design data at a glance using vivid, presentation-ready graphs. Facilitates trade studies through iterative analysis based on diagnostic design data imported via DiagML. 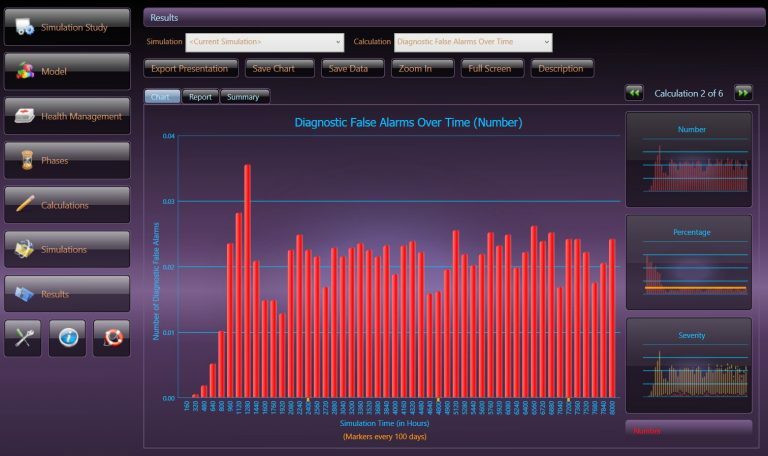 Provides turn-around-time assessments at any point in the operational timeline. Supports cost benefit analysis between different mixes of RCM (diagnostics and planned maintenance) and CBM (prognostics) approaches to system health management. Determines diagnostic contribution to False Alarms and MTBFA. 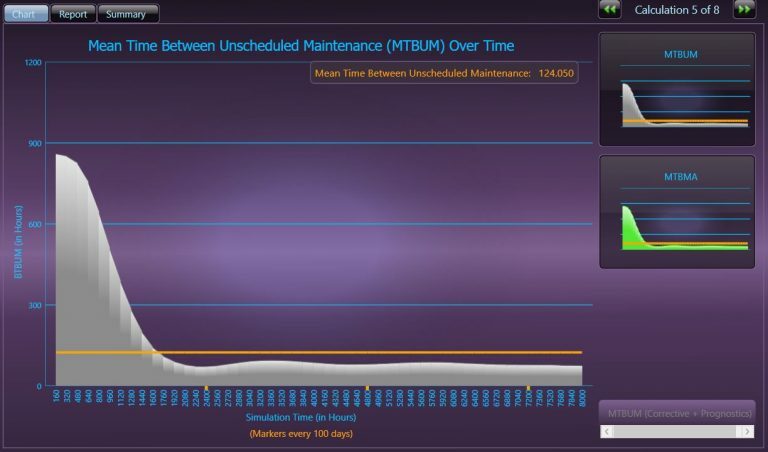 Provides accurate estimates of spares consumption based on the simulated maintenance action timeline. Evaluates system safety and success based on failure criticality and corrective action capabilities. STAGE provides the capability to conduct “trades” based on diagnostic design characteristics, maintenance concepts, logistics footprints, repair levels, etc. Each trade can be used to examine the impact of the design’s diagnostic capability in terms of its strengths and weaknesses over any sustainment lifecycle(s). The STAGE user interface is straight forward and very user friendly. 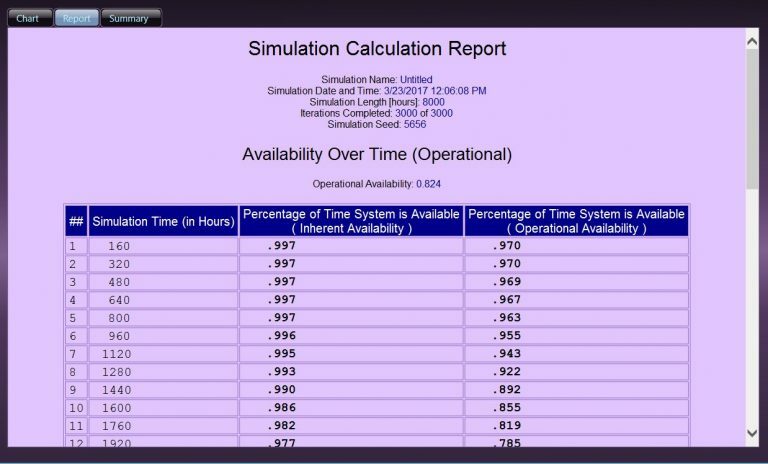 The interface is shown below along with the results of several simulations. 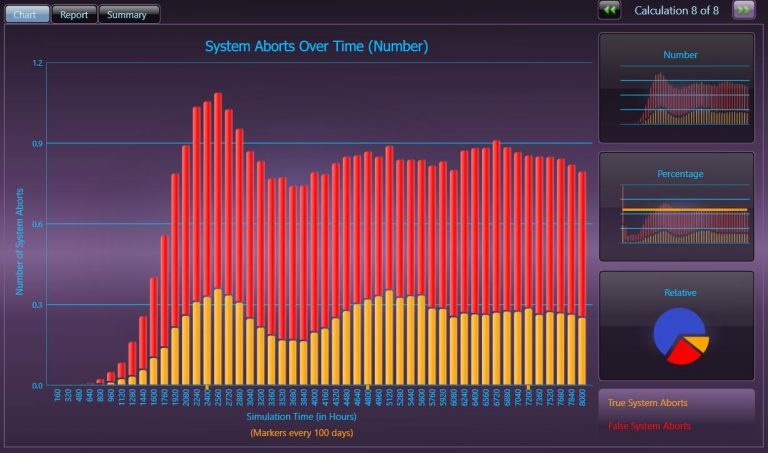 Each chart generated in the STAGE simulation also has a corresponding calculation report and summary report which are also shown below.